Truth Vs Hype Foreign Direct Investment into multi brand retail has been put on But in the brief window that it almost became a reality, a fierce debate broke out, with wildly opposing This is ironic, given that every claim made about its benefits or risks can be tested against the experience of almost ten years of Indian organized retail, which closely followed the western Will it create an agricultural back end chain? Will it bring down prices? Does it squeeze out small traders? Does it create employment? And do we even need foreign retail chains at all? There are always many facts of any realistic situation, especially in the country where democracy is deemed above anything else, and where the right to freedom of speech and expression is used or misused, over and over again. Unlike the U.S., where only two major political alliances exist the Democratic and the Republicans, we in India have a host of fronts other than two major alliances the ruling party and the opposition, and all of them consistently scuffles over every single agenda and many times ignore the main issue and divert the whole argument. different interpretations ought to be backed with rational reasons. Foreign direct investment into the Indian retail sector is controversial, with political overtones. Few countries have witnessed such a elife and deathf debate. The protagonists exaggerate the benefits by a wide margin and the antagonists articulately verbalise imaginary ghosts. Broadly, there are two different views with regard to the decision of the Indian government to allow F.D.I. in Indian retail market, one supporting it and the other opposed to it. View 1) The first argument is put forward by the government itself, supporting its resolution. The government claims that 10 million jobs will be created in the retail sector in the next three years. 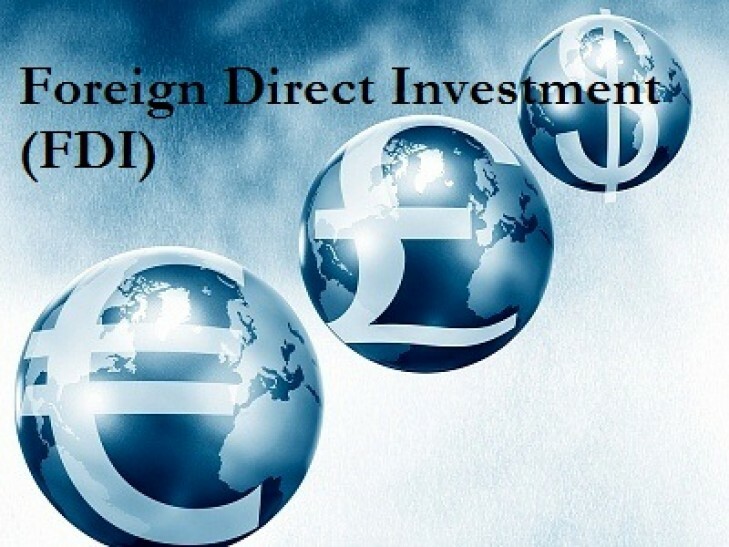 It mandates a minimum investment of 100 million U.S. dollars, approximately 500 crores rupees, for the foreign companies, with at least half the capital to be invested in backend infrastructures, including cold chains, refrigeration, transportation, packing, sorting and storing. Now, this is a fact that India is not much developed in terms of infrastructures. Hence, this step can be deemed most welcoming. Another very influential agenda pointed out by the government is the nuisance of middlemanship. directly from the farmers, thus filtering out the roles of middlemen. Another proposal buoying this idea is that a minimum of 30% of the value of manufactured items procured should be sourced from small and medium Indian enterprises. The government backs its decision with a host of other reasons, e.g., the presence of foreign retail majors will ensure supply chain efficiency. It also alludes to examples of some other nations like China, Thailand etc. View 2) The second version includes the views of the opposition and those who consider this decision to be inconsistent with the nation’s development. There are over 1.2 crores shops in India, employing over 4 crores people, 95% of which are small shops run by self]employed people. The opposition claims that the move will lead to large]scale job losses. Since there is no compulsion to procure all the raw and manufactured materials from Indian sources only, it may lead to domestic agro-industries getting haywire. The move can also lead to market prices being controlled by the foreign giants, further causing a slump of traditional Indian markets and monopoly in the markets. The fact being pointed out by the opposition is that any comparison being made between India and country like China is crushingly in genuine. Both these versions of possible upshots are anything but restrained. And going by the history of our nation’s reaction to issues pertaining to the common]man’s life, a lot of hype is being created over the situation and the issue, by and large, is being blown out of proportions. These extremist views, being largely politically motivated, are far from being the truth. The truth, in fact, lies somewhere in the middle; Firstly, a sheer glance at the whole matter at hand gives anyone the fair idea that this move is going to do more good than harm. Since the government is not directing anything against the Indian domestic enterprises, they can co]exist with the big guns of the world, and a healthy competition is never a bad idea in today’s world. They should, in fact, look forward to work in liaison with these companies. If the idea to introduce F.D.I means that the farmers are going to get their worthy rewards and the masses are going to have access to better qualities of commodities at better prices, then this step should be welcomed with open arms, even if this means that a handful of people will be driven out of jobs, because while choosing between two evils, one should always go for the lesser evil. references of nations like China and U.S., then it should also keep in mind the grave differences between the highly disciplined systems of theirs and the chaotic conditions of our system. another section. But the million dollar question is whether this decision has really been taken with a chaste heart, or is just another example of seasonal politics. India offers an enormous opportunity for retail, but success requires an experimental, adaptive and innovative approach.